WorldSkills Australia’s Gold Partner, Axalta Coating Systems, a leading global supplier of liquid and powder coatings, congratulates Dusti-Lee Franchi for her outstanding performance, representing Australia at the 44th WorldSkills International competition in Abu Dhabi. 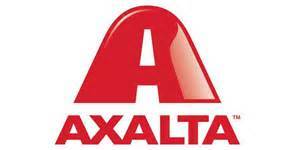 For more than 10 years Axalta, in collaboration with WorldSkills Australia, has endeavoured to continuously improve the quality of training and education outcomes of young people who dream of becoming the ‘best of the best’ at vehicle painting. Offering support and resources such as product training, sustainable techniques, problem solving strategies, teamwork development and leadership skills, has led to several young men and women, including Dusti-Lee, representing Australia on the international stage. From the beginning of Dusti-Lee’s WorldSkills Australia journey, Axalta has been there to help in her quest to become the best vehicle painter in Australia and the world. This has been achieved through ongoing mentoring and nurturing, one-on-one Standoblue (one of Axalta’s premium waterborne range) product training, through to providing exposure to the latest work practices and techniques. Each step has helped prepare her to become the best in her category. Dusti-Lee consistently showed dedication, commitment and excellence during her WorldSkills journey. Winning Gold at the Western Australian regionals in 2015, followed by winning Gold at the 2016 Nationals. Today, Dusti-Lee is ranked top 10 in the world, having competed against 26 other competitors to win the coveted Medallion of Excellence in the category of Car Painting. Dusti-Lee was part of a formidable team of ‘Skillaroos’ who represented WorldSkills Australia in the Car Painting category. She was one of 18 competitors in a team of 43 people that also included mentors and officials, representing their respective skills and trades. WorldSkills Australia’s strong commitment to nurture and develop skills of young Australians pursuing a trade or skill, lead to the ‘Skillaroos’ pushing Australia up two positions to be ranked top 10 in the world above other highly competitive nations. “These 18 young, talented individuals prepared themselves to compete against the best the world has to offer with great professionalism and commitment to their respective skills and the results we achieved collectively were testament to that preparation,” said WorldSkills Australia Chief Executive Officer Brett Judd.